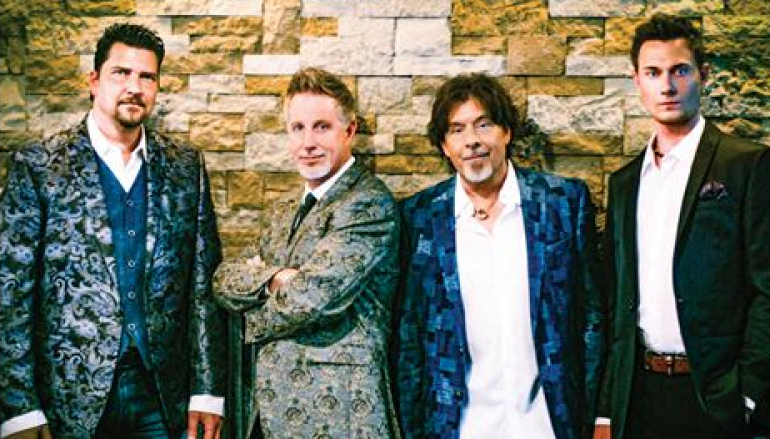 Carolina (alternately known as Carolina Quartet) has been around for a number of years. This self-titled release appears to be an effort to move away from mostly well-known covers, building their own musical identity (while still bringing a favorite or two). I will say up front, this is less of a straight-forward southern gospel album, and more of an “Americana” album. Yes, there are plenty of Christian references throughout the album, but the focus is more on small-town middle America, with lots of references about dirt roads and front porches. “That Old Dirt Road I Grew Up On” paints the picture very well with a mid-tempo country backing, while “The Stories On The Wall” is a tribute to family through family portraits. Being co-produced by Michael Sykes, the album (and group) draws some parallels to The Oak Ridge Boys, starting with the opening track, a cover of a more obscure ORB cut from 1987. The arrangement doesn’t stray far from the original version, only with less of the Jimmy Bowen-esque 80’s synths (ask an 80’s country nerd about that reference). Carolina does the song justice, and revives a unique song that deserves to be heard. There are times where, for me anyway, they get a bit too heavy-handed on the flag-waving. “American Morning” works well, although it’s a bit too close to “Dirt Road,” but “Everyday American” hits you right in the conservative gut. I’m sure it’ll be a good stage song, but for folks like me who has had their political fill, it feels like one step too far. That’s not to say that there aren’t some gospel songs. 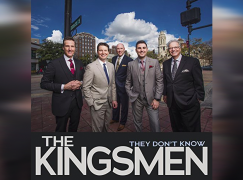 “The Saints Sing Their Way Home” seems to be included specifically for the more church-oriented crowd, as it is a tribute to hymns and songs of years past in a traditional 3/4 southern gospel feel, not dissimilar to Gold City’s “If Church Pews Could Shout.” This would be a good single choice for the group to SG radio. “Way Down Deep” is a hand-clapping (literally) number that would likewise fair well on SG radio. Sykes, along with Holly Robinson-Branch and group member Scott Whitener have produced a solid album that isn’t too loud or high on over production. My only complaint would be the vocal tuning in spots, but there’s no way in this era that you’ll avoid that I believe. 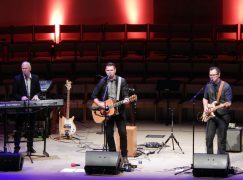 Carolina seems to be picking up where groups like Monument and, to a lesser extent, the Dove Brothers Band left off – performing solid, clean country music focused on faith, family, and patriotism. I give them credit for trying to think outside the box a bit and not settling for the traditional 4-part gospel style. I’d recommend giving this album a listen. I am concerned about the attempt of some SGM groups to try to lead us toward Americana Music. I view this as an attempt to help SGM reach a larger audience and to keep SGM alive. From a secular viewpoint this may be the route to take. But I am concerned about the spiritual aspects. I am aware that the Bible does say to “GO INTO ALL THE WORLD” but it did not say be like the world. 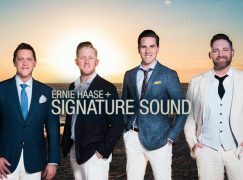 I know there are some positive, clean secular music, but I don’t think they were written to share the gospel. I believe they were written for humanistic viewpoint. I have had this conviction sine I was a teenager when such songs such as “LESS OF ME” and “TRY A LITTLE KINDNESS” were were written and added to many groups repertoire. Christianity to me seems to becoming more ecumenical to reach the audiences. They seem to be watering down the Gospel message, compromising or laying aside some of the their old convictions and beliefs. I believe the Gospel of the Kingdom should be presented in a raw unadulterated form to reach the people. You may not win many, but the few that are won will stay . Do I want to see SGM die. No I do not. But there are ways to keep it alive, besides singing secular music in your programs. One suggestion is to rely more or a keyboard player than the use of soundtracks in a concert. Be good singers and don’t rely on technical gadgets to make you sound better. Look at the following that the Cathedral Quartet had. We can always count on you for strong opinions. I just wonder if you have actually heard this group’s music vs speaking in generic terms about what you think they’re doing. I chose not to write the MusicScribe review for this CD, since I am a former member of the group and continue to handle website duties for some of their concert promotions. It would be difficult to come up with an analysis that would be free of personal bias. 1. I’m most likely to hit repeat on “Way Down Deep.” Carolina did a great job redefining this old Vern Gosdin classic for the gospel market. 2. “I Don’t Have To Stay” is my favorite lyric…very reassuring. 3. The combined lyric/story plus the vocal performance on “Can’t Hurry The Harvest” is compelling. The only complaint I’d make about this release is very minor. The production quality on “Come By Here” and “Down By The River” is fantastic, but those lyrics are too repetitive for my taste. Kyle did an excellent job drawing parallels to show what you can expect in terms of style, so I won’t attempt to add to that. Reply	August 13, 09:45 #3 Rob W.
I’ve never met you Scotty and probably never will, but I could not agree with you more. The watered down Gospel that is being fed today in many churches is shameful. It has come to a point where a person is afraid to take a stand against sinful actions. I did in my church recently and ended up being verbally attacked. It is a sign of the times and it’s all in Bible prophesy. I am up in Canada probably a long ways from you, but always enjoy and am blessed by your no nonsense postings. Good thing that’s not what Carolina has done with this latest release. Just had the privilege of listening to this album by Carolina. Knowing the men of Carolina personally, and knowing the stance that all of these men take, this is a new opening for these men to take the gospel to some neat places. Anyone who has known Carolina for any period of time would know that there is zero compromise taking place here. Excellent singing, good lyrics, and an album that will perfectly match the straightforward gospel albums they have released in the past.